01:37:01 Retweeted @MerriamWebster 2019-01-25 22:54:12 <symbol>We’re seeing a 1500% spike on ‘cave’ this evening. 04:20:57 Retweeted @jonfavs 2019-01-25 22:20:36 Turns out electing a Democratic House really mattered. 08:41:16 I liked a @YouTube video https://t.co/ZbzxTUOMAz What If We Built a Road Around the World? 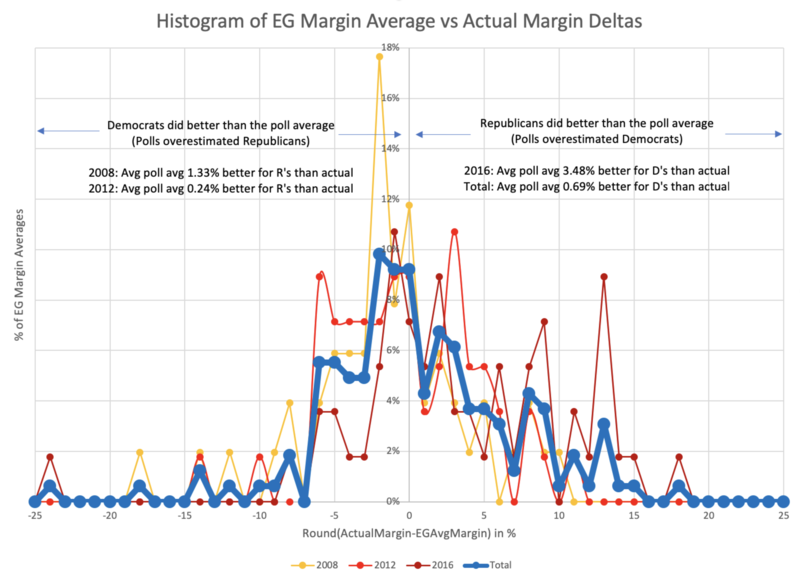 This week I’ll finally be doing some election geek posts over at ElectionGraphs.com with some analysis of the difference between the final state poll averages I had in 2008-2016 and the actual election results. I just posted the first one a few minutes ago. That kind of stuff is now over there, not here, so if you want it, you either need to be checking ElectionGraphs.com itself, subscribe to it with an RSS reader (RSS link), follow @ElectionGraphs on Twitter, or follow Election Graphs on Facebook.